Writing Your Book in 2015? Are you one of those people who has a book inside them just waiting to come out? Is it fair to say that you haven’t been able to get enough words on the page to qualify as a ‘book’ and before you even remotely approach the finish line you give it up as a pipe dream? It just doesn’t have to be that way. I wrote my first book in 2013 and had dreamed of doing it for decades before that. What took me so long? Maybe it was lack of confidence. Perhaps I didn’t have time. I think the real reason that it took me so long to write that book is that I had never before made it a priority. It was on my dream list, not my ‘to do’ list. I just imagined that it would organically happen one day when all the stars were aligned. I couldn’t have been more wrong. News Flash! Nothing ever gets done if you don’t make time for it. Period. 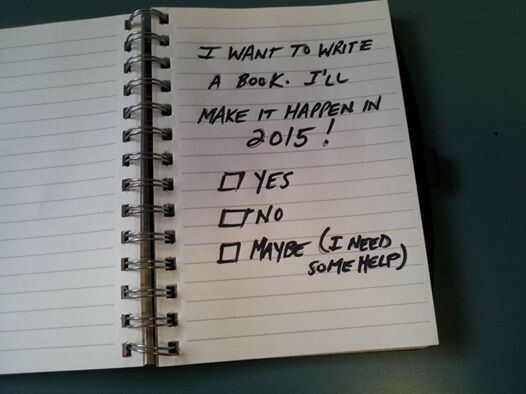 So let me ask you: Will you make a book happen in 2015? If you answered, No, then have a great day and a wonderful 2015 full of fun, friends and frivolity. If you answered, Yes, then what do you need to do to make it happen? Over at the Writer Inc. Facebook page there are lots of writers and aspiring writers who would welcome the chance to help you. These amazing folks find joy in writing poetry, fiction, blogs, business communication and everything in between. Some are published authors with a long list of accomplishments while others are still in school dreaming of their first byline. I think around 40 of them have said they’d like to write a book this year. I won’t reinvent the wheel here because you can easily Google ‘how to write a book’ and you’ll get dozens of results (actually 878,000 results). What I can tell you is my story and how it resulted in a published book. It all started with Chris Brogan who offered an online course called, Write Your Book Already. Well, I figured I had waited long enough so I joined the group and found a couple of very critical things happened. First, I was committed because I had actually spent money on a course. Second, I had weekly reminders and homework to keep me on task. Third, there was a community of fellow aspiring authors who were all feeling the same things that I was and we found ways to share our concerns and insecurities while cheering each other on when our word count goals were reached. Having a tangible, achievable goal along with accountability buddies made it easy to eat that elephant one bite at a time. I found my biggest challenge was finding time to write the book. 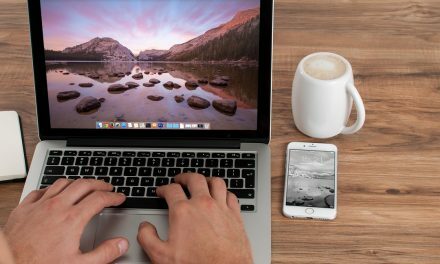 My job is writing so every time I sat down at the computer I’d work on client projects, my blog or other tasks that were more urgent or immediate than my book. It wasn’t until I started scheduling time into my week that was non-negotiable and solely for writing the book that I finally started making progress. I ended up taking my laptop with me everywhere so if I sat in my car during my kid’s rugby practice, I could draft an outline for the next chapter. A remarkable amount of my book was written in the car. During the process I needed to decide whether or not I would go the conventional publishing route or self-publish the book. I chose self-publishing because I wanted to understand the process and I also wanted complete control. Not saying it is the better alternative, but it was for me at the time. My next book will also be self-published. Marketing the book is where I faltered a bit. Although I had gotten it up on Amazon and tapped all the networks (online, social and otherwise) that I had, my overall launch was underwhelming. I learned an awful lot, though, and will be better prepared next time. So my advice to you is simple: put ‘write a book’ into your calendar and do it. Reach out to whatever resources you have to cheer you along the way. Find accountability buddies and support networks who will ‘get’ what it is you’re trying to do. And, most importantly, never give up. If you’d like to join our Facebook group and tap into those folks as accountability buddies (they’re kind and gentle…mostly…unless you need a kick in the pants) hop on over and let us know how we can help. Look forward to talking to you, fellow author! PreviousDoes Your Website Need an Upgrade?